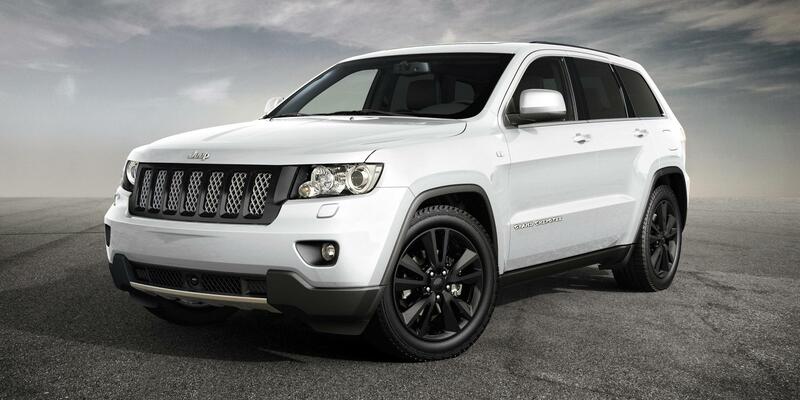 Jeep are following up on their promise to develop their impressive range and have unveiled the new Grand Cherokee S-Limited. The new ‘Sports Line’ is a formidable vehicle, designed to sit competitively in the ‘sports-styled’ premium SUV segment of the hotly contested 4×4 market. Essentially it’s a Jeep Grand Cherokee without the massive petrol-chewing engine so it should appeal to a wider buying audience. One of the ‘joys’ of driving the Grand Cherokee – especially the massive 6.4litre V8 SRT – is watching the fuel gauge drop like a stone whenever you need to overtake or slightly accelerate for any reason. However, the S-Limited is powered by Jeep’s proven 237bhp, 2987cc V6 CRD diesel engine with new-generation, 1.8-bar injectors and MultiJet II technology developed by Fiat. Buyers will still be buying a car that is unmistakeably a Jeep with its assertive yet attractive sports appearance and in the main it resembles the SRT. But cheaper to run. Also on the exterior is a real carbon fibre trim and the package is better than some of its competitors. On the inside there’s a leather-wrapped heated steering wheel and ventilated sports-styled Nappa leather seats. Bright, racing style pedal pads add to the sporty, performance-oriented look inside the cabin. Further standard features include Quadra-Lift air suspension, Quadra-Trac II four wheel drive system, cross-path detection, adaptive cruise control, blind spot monitoring, Uconnect navigation, black gloss 20-inch alloy wheels, 825-watt Harman-Kardon audio system with 19 speakers and three sub-woofers, power tailgate, and distinctive black grille and rear light bar. The new Grand Cherokee S-Limited will cost £44,595 (OTR) when it goes on sale this month. It’s a lovely vehicle but have a look at leasing options, if you’re thinking of getting one. This entry was posted in News and Views and tagged alloy wheels, audi, car, carbon fibre, diesel engine, fiat, GM, Grand Cherokee, grand cherokee s-limited, Harman Kardon, jeep, Jeep Grand Cherokee, LS, Quadra Lift, S line, Sport, Sports Line, SRT, steering wheel, SUV, technology, The new Grand Cherokee by Steve Lumley. Bookmark the permalink.